Some had the Atari 2600. Others grew up with Mario and the NES. But for a lot of young, budding PC gamers, there were Humongous Entertainment's quirky and colorful edutainment titles. Now, these classic adventure games are making their way to Steam. Putt-Putt Goes to the Moon, aww yeah. Alien tag was the best. Night Dive Studios' CEO took to Reddit to answer a few fan questions, where he said that Putt-Putt Saves the Zoo, which is missing from the press release list, will be out in August. He also noted that the studio will be looking into bringing over Fatty Bear's Birthday Surprise (my personal favorite) and a "rare Pajama Sam game that slipped through the cracks." 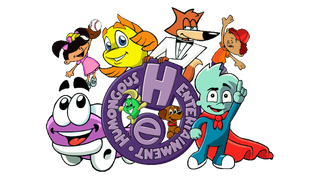 Top image via the Humongous Entertainment Games Wiki.